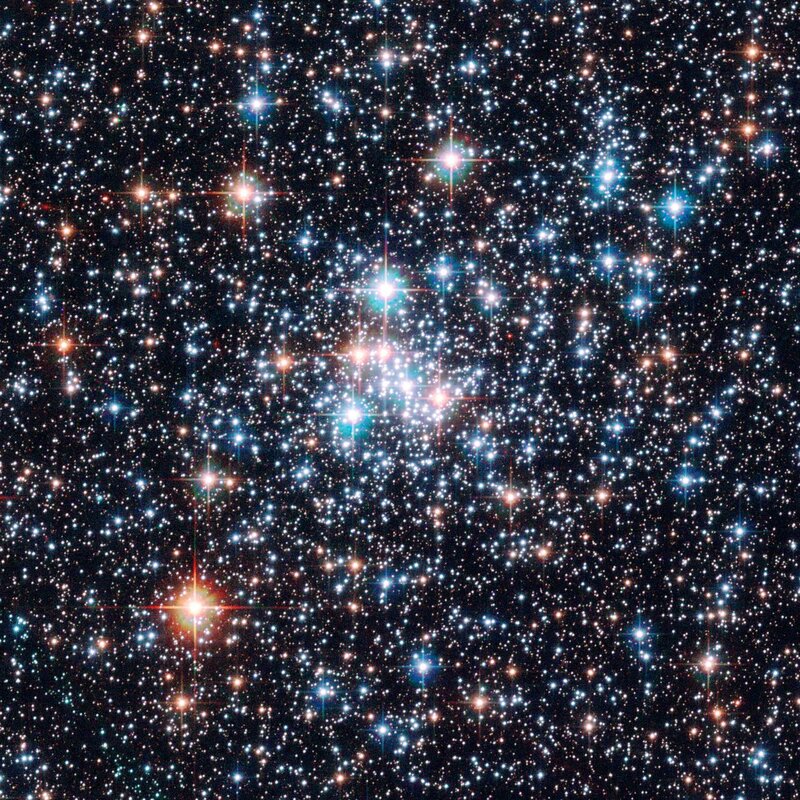 Hubble has captured the most detailed images to date of the open star clusters NGC 265 and NGC 290 in the Small Magellanic Cloud - two sparkling sets of gemstones in the southern sky. 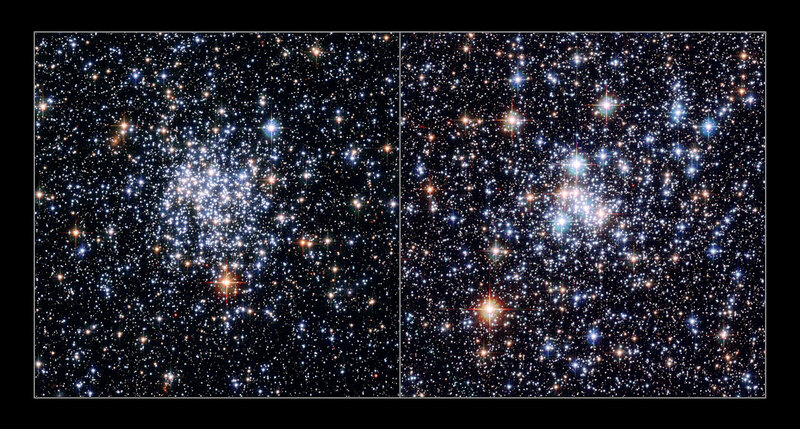 Two new composite images taken with the Advanced Camera for Surveys onboard the NASA/ESA Hubble Space Telescope show a myriad of stars in crystal clear detail. 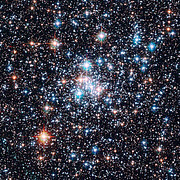 The brilliant open star clusters, NGC 265 and NGC 290, are located about 200,000 light-years away and are roughly 65 light-years across. 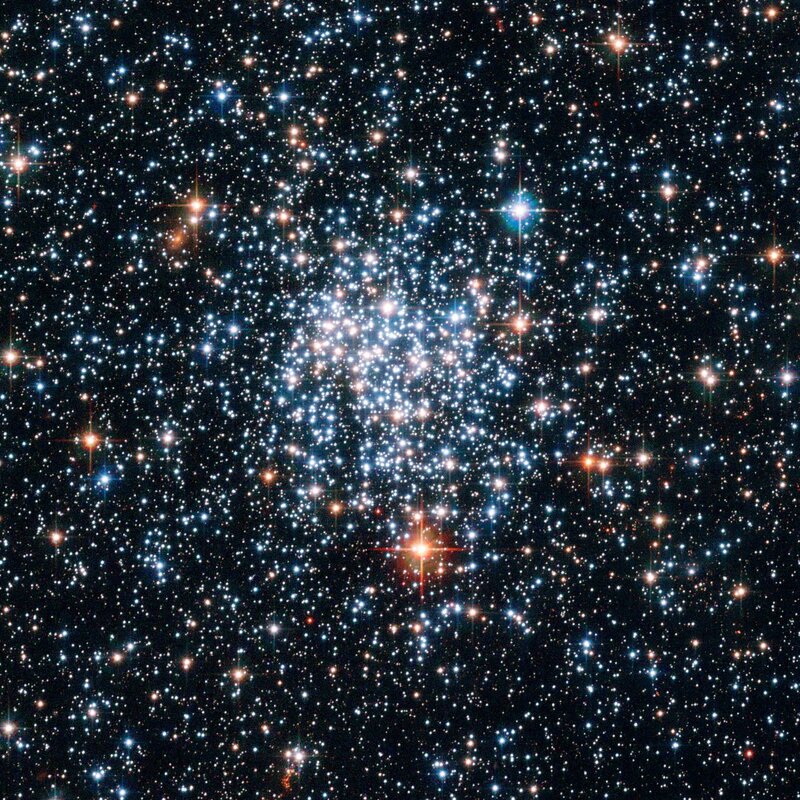 Star clusters can be held together tightly by gravity, as is the case with densely packed crowds of hundreds of thousands of stars, called globular clusters. Or, they can be more loosely bound, irregularly shaped groupings of up to several thousands of stars, like the open clusters shown in this image. The stars in these open clusters are all relatively young and were born from the same cloud of interstellar gas. Just as old school-friends drift apart after graduation, the stars in an open cluster will only remain together for a limited time and gradually disperse into space, pulled away by the gravitational tugs of other passing clusters and clouds of gas. Most open clusters dissolve within a few hundred million years, whereas the more tightly bound globular clusters can exist for many billions of years. 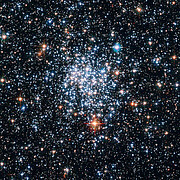 Open star clusters make excellent astronomical laboratories. The stars may have different masses, but all are at about the same distance, move in the same general direction, and have approximately the same age and chemical composition. They can be studied and compared to find out more about stellar evolution, the ages of such clusters, and much more. 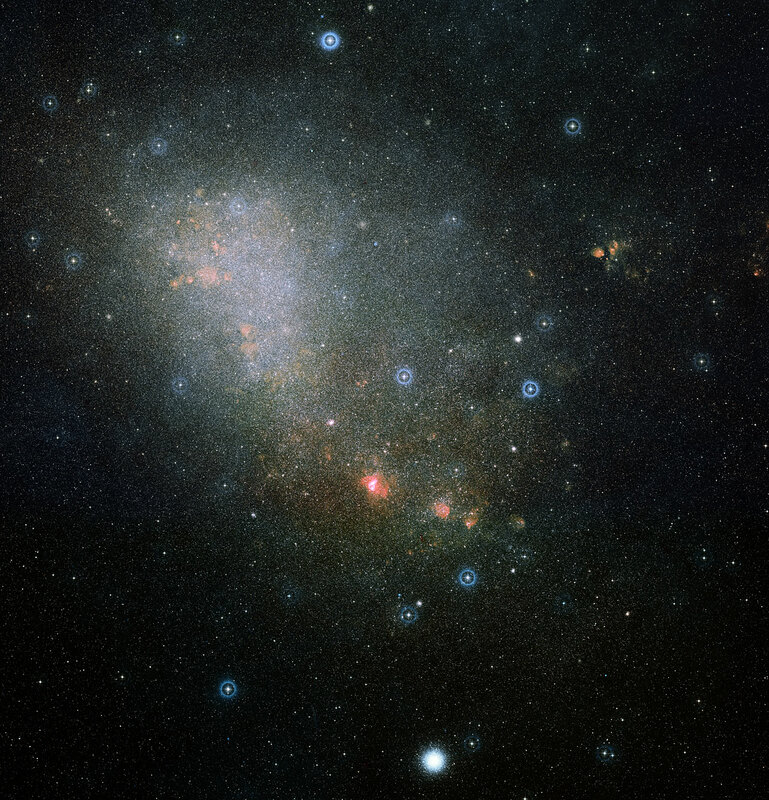 The Small Magellanic Cloud, which hosts the two star clusters, is the smaller of the two companion dwarf galaxies of the Milky Way named after the Portuguese seafarer Ferdinand Magellan (1480-1521). It can be seen with the unaided eye as a hazy patch in the constellation Tucana (the Toucan) in the Southern Hemisphere. Both the Small and the Large Magellanic Clouds are rich in gas nebulae and star clusters. 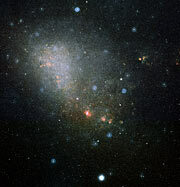 It is most likely that these irregular galaxies have been disrupted through repeated interactions with the Milky Way, resulting in the vigorous star-forming activity seen throughout the clouds. NGC 265 and NGC 290 may very well owe their existence to these close encounters with the Milky Way. The images were taken in October and November 2004 through F435W, F555W, and F814W filters (shown in blue, green and red, respectively).